Sciatica, Migraines, injuries, can really make you feel down, but if you come to Inner Persona Bodywork clinic for help, this and many other ailments could become less of an influence in your life, leaving you free to think about other things and enjoy yourself more.The body has a unique ability to rebalance and heal itself.This can be achieved through diet and supplementation, exercise, and lifestyle changes including complementary therapy, if you are interested please read on. Looking for Pain or Stress relief in Coleford, Cinderford or Lydney. 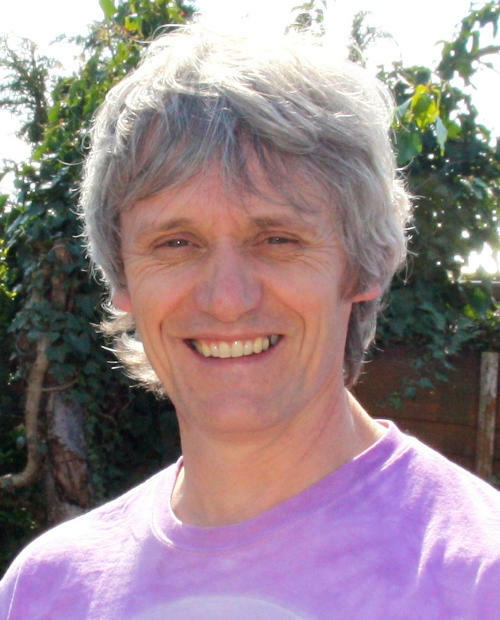 My name is Gerry Crossman I'm a complementary therapist with over 16 years experience in various therapies, I have worked with a range of people with a various abilities and disabilities. Here are some of the skills I can offer you. I work from home , I can also do some mobile work and I presently practise at Great Oaks hospice. Sciatica in Lydney, Pulled Hamstring in Coleford, Miagraine in Cinderford! I work in the Forest of Dean so please do not hesitate to contact me if you live within this area or can travel to me. I am fully insured and participate in regular continual practitioner development for your continued safety and peace of mind. I am also a qualified first aider at work, so you can feel completely relaxed. I treat each client as an individual and invite you into a caring and warm environment, putting you at ease even before I have begun to work on your problems.. So if you think that I could be the person to come to with your ailments, and if you would like to get more quality of life back please get in touch now on 01594 833765. You can also email me using the contact page. I look forward to hearing from you soon. Pain management and Stress relief is available in the Forest of Dean.